CINCINNATI (US) – Wedron Silica, a division of Fairmount Minerals, has been producing round grain silica sand for over 100 years. 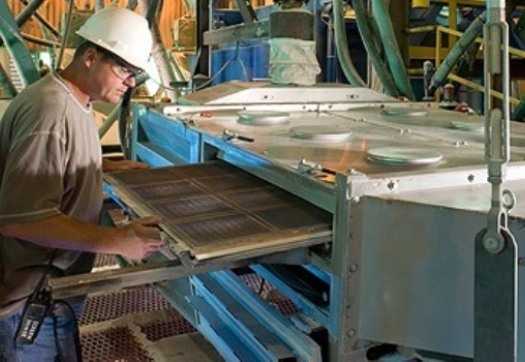 Dry Screening equipment used at the facility in Wedron, Illinois faces harsh conditions 24 hours a day, seven days a week. Wedron Silica, a division of Fairmount Minerals, has been producing round grain silica sand for over 100 years. Dry Screening equipment used at the facility in Wedron, Illinois faces harsh conditions 24 hours a day, seven days a week. The sand mined at Wedron is used in the creation of proppants. Proppants are used to hold open the fractures made during the oil drilling process in place of the extracted oil. ROTEX Global, the global leader in screening technologies, knew that Wedron Silica would put its new APEX- dry separation screener to the test. Each day, the APEX Dry Screener needed to process over 150 tons of sand at the Wedron site. The APEX model A8G35-2 is a 35 square feet, two-deck separation screener making a sharp cut in product between 40 mesh and 70 mesh. Rotex engineers started with the basic design of their efficient and long-successful ROTEX® Screener. The ROTEX Screener uses a unique gyratory-reciprocating motion that allows the machine to process material at a high capacity and improves dry screening performance for near-sized particles. There is no vertical component to this motion ' thus keeping the material in constant contact with the screen surface. 'Most screeners use one large screen per separation,' says Scheper. Changing this screen from the top or tail end of the machine is cumbersome. Often the only way to inspect or replace a screen is to have a crane or several people on hand to help lift and remove the top cover and screen. The process is labor intensive and slow, consuming a significant portion of production time. Rotex engineered a screen that can be maintained by just one person while maintaining the optimal level of screen performance and life for which Rotex dry screeners are known throughout the industry. Rotex designed the dry screener with side access to the interior of the machine, using a series of smaller screen panels, 'We divided the large screen into smaller, easier to handle panels and created a one man operation,' says Scheper. The total number of panels on a deck of the APEX depends on the size of the machine. The APEX screener at the Wedron site provides 35 square feet of screen area, with four panels per deck. Rotex tested the APEX to make sure it would deliver the high quality and performance that its screeners are known for throughout the process industry. 'Wedron provided the perfect site for testing the APEX. They separate a large volume of sand on a daily basis. Due to its abrasive nature, tendency to blind, and difficulty to separate by size, sand is one of the toughest applications available to test the APEX dry screener,' says Scheper. At Wedron Silica, 150 tons of mined sand is diverted in the screening tower to the cable mounted APEX, which runs approximately 20 hours each day. The four hours of downtime are used for maintenance on other machines used in the process. 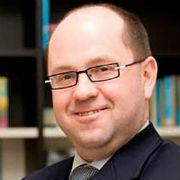 'Process up-time has increased and the entire process is more efficient,' says Bach. The APEX requires significantly reduced maintenance resources, limited to changing screens and ball trays and greasing the slide bearings. Further engineering improvements include designing the door closures and sealing with strong, easy to operate clamps and hinges.
' We looked at a variety of ways to remove screens,' says Scheper. ' What made the most sense for the customer was to design the machine with side access. ' The doors are located at waist level, allowing for easy access to maintain the screens, seals, and ball trays. The operator can inspect the seals and the screens by opening the side access door. ' We run the APEX 24/7 during testing to check for quality issues. Then we take a close look at the screens and replace the bad screen cloths,' says Bach. ' It' s a lot easier to maintain and there' s a reduced risk of injury because the machine consists of smaller, easier to handle components,' says Bach.